Can the reason for the Islamic world's downfall be explained any more clearly than by the article above? Pure ayyashi. No wonder we're in such a mess. He is coming with more than 1000 business men. Baba yeh Sheikh log issi tarah ghoum te hai, most of the stuff is their own that they send ahead of time to where they are visiting. I know a few people who work for them and seen it myself, literally from cars to toothpaste is sent before hand in big C 5 galaxy military cargo planes. Same when they go for hunting in Africa, Central Asia and Pakistan, aas paas ke gao ki eid ho jati hai. yeh badshah ka body guard hai yaa sipah salar????? ab tou badshah bhi keh uthay gaa..
thankyou raheel shareef..itni achi maalish..subhanallah subhanallah..badshah salamat khush hoey!!! "Pakistan’s former army chief General Raheel Sharif, is already in the country to review security arrangements for the royal visit. " 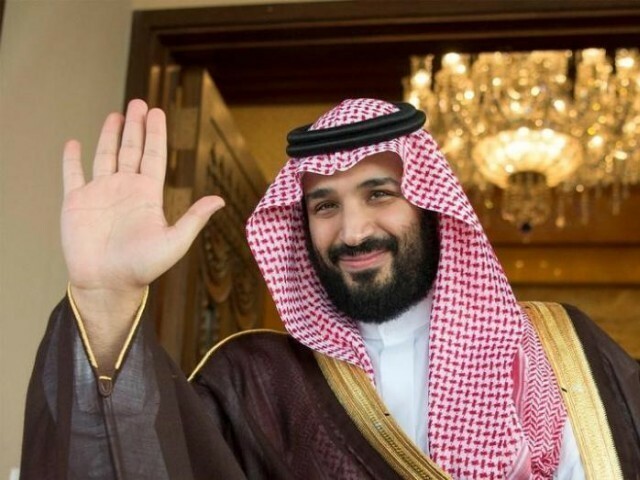 MBS bringing his own things..Who can stop them? ?Even USA President bring his own security peoples and food..water..in the name of security.where ever he visit...MBS visiting with huge delegation..which I rare to see in Pakistan from any world leader visit..
Any way......Most well come KSA King..
imran niazi's brother in law coming. is Bushra pinky or Aleema baji going to entertain the crown prince with that magical pigeon and flying sewing machine? Patwario ur Indians ka Rona dhona start ho gia ha MBS ke visit se pehlay hi....enjoy it..